﻿ Did You Know Filming (Yes, Filming) Happens on St Simons Island Real Estate? 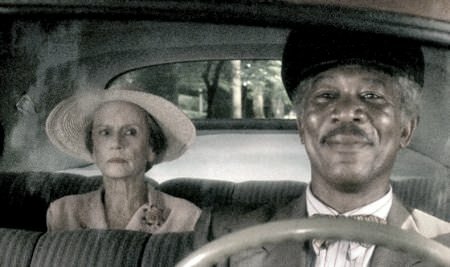 What does Driving Miss Daisy, Midnight in the Garden of Good and Evil, Fried Green Tomatoes and the Legend of Bagger Vance have in common? They were all filmed in a large part in Georgia. Over a period of about 50 years, Georgia has become the East Coastâ€™s answer to Hollywood. St Simons Island and other parts of the Golden Isles are also listed on the roster of films shot in Georgia. You wouldnâ€™t think a patch of sand, some dunes and other pieces of St. Simons Island real estate would figure largely in popular films and reality shows, but they do. Even slices of sidewalk and parking lots appear on the big screen and small ones as well. Which ones? Weâ€™re not sure if it has aired yet, but the popular cable show gives away a home in addition to other things including cash to one lucky contestant. Viewers are allowed to see the home under renovation in a virtual tour and enter the contest to win the home on HGTVâ€™s website. This year, the home to be given away is quite near a four bed, six bath stunning home in 154 Shore Rush Drive. The home sits on less than an acre and enjoys over 5,000 square feet. The Frank McCall home was recently taken down to the studs and remodeled with an eye to preservation. Just think – you could own a house near one featured on HGTV. Set for release in 2017, Helen Mirren and Donald Sutherland team up once again to delight us with a story made from the book of the same name. Mirren and Sutherland are an elderly couple who escape from their retirement home to tour the country in their RV. We are told the shenanigans they get up to are hysterically funny, so we canâ€™t wait for it to come out. Back in August, you may remember, the parking lot and a bit of sidewalk near the Fun Zone and Postell Park were shut down for a couple days. This is one more instance of the appearance of St Simons Island in the movies! These words are now forever identified with a mental picture of a fur-clad Sean Bean with a hand raised to indicate that one does not simply have dead bodies wash ashore nor find half-buried bodies except on a beach. Where do you suppose the perfect beach for the perfect scene in a much beloved show exists? Why, on Jekyll Islandâ€™s Driftwood Beach, of course. Viewers can shiver during their favorite show while enjoying life in a five bed, seven bath dream with a pool and fire pit in 414 Hawkins Island Drive. Over six thousand feet on an acre and one half should give you plenty of room to run away from the fright on your favorite show. Many more shows such as John Cenaâ€™s American Grit reality show among others are filming, slated to film or have already been filmed on beautiful St Simons Island and other parts of the Golden Isles. We appreciate a chance to show the world how stunning island life is plus how homes here project the peace and beauty of island life. We know a lot about that beauty and peace, so feel free to contact us to learn more about it.